I wrote this on the first day of Lent in February 2015. A lot of people seemed to find it useful when it originally posted, and with Lent soon to begin again, I thought it's time to re-introduce it. Obviously it's not Ash Wednesday, but after that the content is time-unspecific. 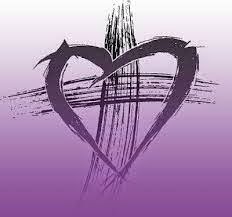 Today is Ash Wednesday, the first day of the season of Lent. Lent is one of the holiest times of the church year, a season of 40 days and 6 Sundays leading up to remembering Jesus' crucifixion and resurrection. It also seems to come with some misconceptions from both observers and non-observers alike. I thought that it might be helpful to share a few reflections and remembrances to help clarify what Lent is. Hopefully it will aid those making this journey toward Easter. 1. It's about self-examination, not self-flagellation. Many people recoil at this season because it just seems like such a downer. Who wants to sit around beating themselves up? The larger point is to take honest stock of yourself, and that includes habits, behaviors, and attitudes that don't line up with God's vision. You're invited this time of year to examine yourself, and to identify and seek God's help in transforming those things that hinder or even destroy life (including your own), rather than create it or build it up. Sure, doing that has a good chance of causing you to feel bad about some things. But the intent is to move through the discomfort of facing difficult truths into new ways of viewing God, oneself, and the world. 2. It's about awareness, not artificial sacrifices. A common Lenten tradition is to "give something up" for the duration of the season. Over the years, I myself have given up chocolate, cookies, television, alcohol, the internet, and fast food. A critique that I see fairly often is how First World Problems it all seems, as if staying off Facebook for 40 days is really supposed to bring you closer to God. True enough, by itself giving up sweets probably won't do much for your spiritual life. The other part of the equation is the awareness that this act of self-denial is meant to help cultivate. In part, you can consider how much time you may have spent indulging in the thing you gave up and the disordered attachment you have to it. In the meantime, you can fill that space instead with any number of spiritual practices such as devotional time, meditation, lectio divina, and many others. 3. It's about Jesus' suffering, as well as ours. People see Lent as a downer not just for the self-examination component, but because it focuses on Jesus' suffering, including his temptation in the wilderness and all the events of the final days leading up to his death. People are uncomfortable with this for a variety of reasons. But we don't focus on these events as voyeurs or glorifiers of violence. Instead, we are meant to journey with Jesus through them, sorrowing with him. The reasons for this are twofold: 1) to feel the suffering of these events as an integral and inescapable part of Jesus' life, and 2) to consider how God suffers alongside us in the same way. 4. Holy Week makes Easter what it is. I get it. Your week is busy and there's a premium on your weeknight hours. Getting to a Maundy Thursday or Good Friday observance takes a lot of planning and rearranging and it seems like too big of a hassle to attempt. Nevertheless, the events of Jesus' passion, complete with their agony, uncertainty, emptiness, and seeming finality are what give Easter its celebratory power. We can't understand the joy of the resurrection without traveling through the crucifixion. If you can't make it to a service during that week, reflectively reading one of the Gospel accounts a little each day could be a sufficient substitute, as one possibility. 5. Lent was made for people, not people for Lent. This season is what you make of it. Take up practices that speak to you, leave behind those that don't. The journey won't be, and isn't meant to be, the same for any two people. To observe practices that are going to be burdensome, arbitrary, or based on others' expectations rather than help open your heart to the possibilities of the Spirit is counter-productive to the entire exercise. No matter the specifics, the ultimate goal is for you to deepen your awareness of and relationship with God, and to immerse yourself in Jesus' road to the cross. The way you mark this time is between you and God. However you do it, may it be inspired and transformative.